We thought we would have to wait until the wedding day this Saturday, but no, we already know who will be the designer of Meghan Markle’s anticipated wedding dress. The Australian designers, Ralph & Russo have been chosen by the soon-to-be princess, whose style is notably minimal and effortlessly chic. In addition to Ralph & Russo, Antonio Berardi, Elie Saab, Erdem, Jenny Packham and Misha Noon were also suggested to be chosen by Meghan. Catherine Walker and Amanda Wakeley, two favourite designers of the late Lady Diana, also sounded like a nod to the longed-for Diana of Wales. Finally, Meghan Markle has opted for the same firm that took care of her set for official engagement photos, a brand noted for its minimalism and elegance, as seen in its previous collections. Along with the Daily Mail, the E! Reports has also said that they have had confirmations from brand that they have been in talks with the Royal family. As part of these assumptions, some British media have also made calculations and have placed the price of the monumental dress in a whopping £100,000. However, some journalists in London have gone that step further, with many predicting even more detailed information. 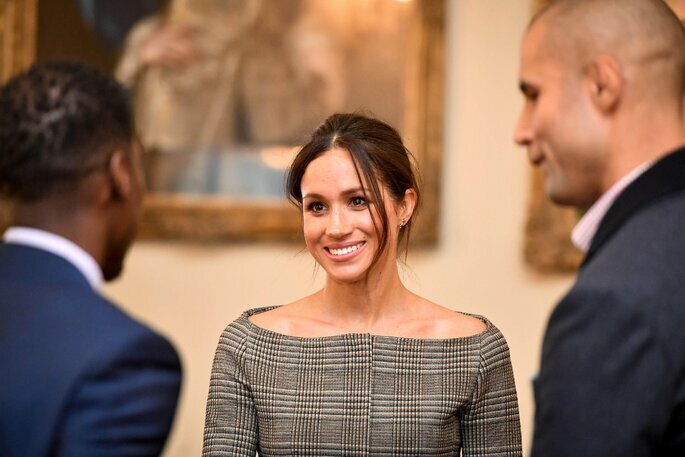 Emily Nash, a Royal Correspondent has said that “Meghan will have two dresses, one for the ceremony and another one for the evening. The plan is that she will change after the ceremony so that she can spend the evening feeling less restricted and more glamorous”. The one of the ceremony would be of classic cut and would need the approval of Queen Elizabeth II, although it would not lack glamour and could carry rhinestone details as well as flowers or lace. However, the second, more adjusted to the personality of the bride, could give the surprise with a more daring design, perhaps adapted to the red carpets that Meghan used to tread in Hollywood? So, Ralph & Russo has been chosen according to the latest information, but we are still open to many surprises. What will happen tomorrow? Watch the Royal Wedding Live here!